Are you waiting on a book from a series this week? Same WOW as we had basically the same TTT :) Great minds! DYING for this one. Also, how awesome is the cover? I really want to read this as well. Great pick!!! All covers of this series are amazing. I haven't gotten round to start it yet. Shame on me!! Looking forward to this one. Such a great series. Please check out my WoW! I read Cinder and enjoyed it, but I haven't read Scarlet yet. I'll have to add this one to my tbr. Thanks for sharing. I still need to read Scarlet! I actually loved Cinder more than I had anticipated... so I'm hoping that when I get to Scarlet I'll enjoy it too. And I've loved all their covers. They feel unique, and that's nice considering how... ubiquitous the female in flowy dresses thing is. 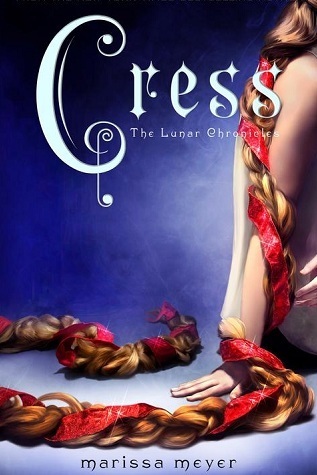 I've heard mixed reactions on The Lunar Chronicles as well, that's why I haven't gotten into them yet. But if you like them enough to keep going I should give them a try!